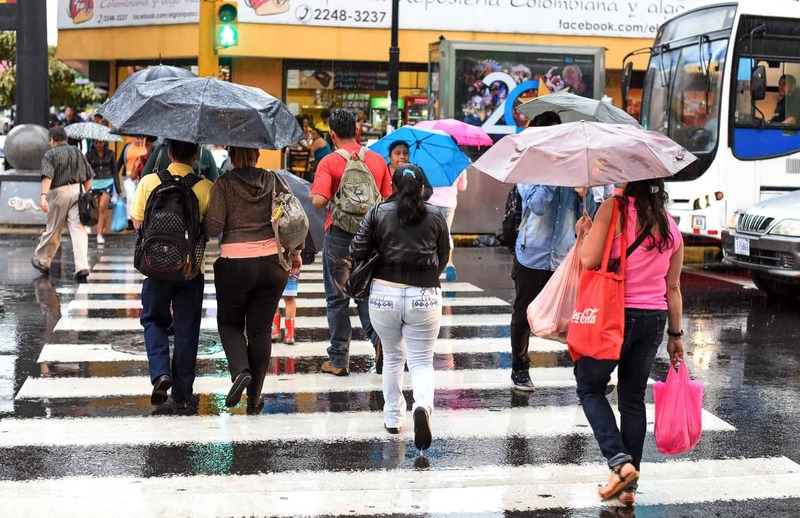 A tropical wave that entered Costa Rican territory from the Caribbean Sea on Wednesday is increasing rainfall over several regions, the National Meteorological Institute (IMN) reported. The weather phenomenon, the fifth so far this year, is moving over Costa Rica from east to west and prompted increased rainfall on Wednesday evening. Costa Rica is currently amid the rainy season that usually runs May-November, but the tropical wave is increasing average rainfall levels even further, the IMN noted. IMN monitoring stations reported heavy showers with thunderstorms in the Central Valley, the Northern Zone, the Central and Southern Pacific regions and in the mountainous areas of the Caribbean region. Precipitation on Wednesday resulted in accumulated rainfall levels between 30 and 60 liters per square meter in these regions. The agency warned residents of areas prone to landslides to remain alert, primarily those in the higher lands of the Central Valley, in the Northern Zone and in the Northern Caribbean. Heavy rainfall is also expected to increase river volume throughout the north. The IMN warned people near rivers in the surroundings of the Poás, Turrialba and Rincón de la Vieja volcanoes to be alert, as higher waters could carry materials accumulated from recent eruptions. Experts also advise caution while driving, as rains this week have caused some landslides along various roads. The Traffic Police reported landslides this week on Route 32 between San José and Limón, on the southern stretch of the Inter-Amerian Highway and on the road to Tarbaca, south of the capital, San José. Meteorologists expect showers to slowly begin to decrease on Thursday evening, particularly in the Central Valley and the mountainous areas of the Caribbean region.